Tucked away in the South East corner of the South Island of New Zealand is the coastal Catlins region, where virgin native forest is readily accessible to the traveller. In summer the southern rata trees can be a spectacular sight with their red flowers. It is home to several rare and endangered birds including the yellow eyed penguin, elusive fern bird and the yellowhead. The coast is also home to seals, sea lions and Hectors Dolphins. 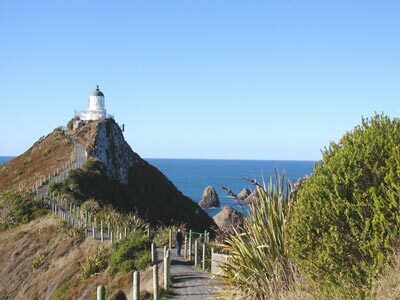 The Nuggets lighthouse, Papatowai, Cathedral caves, Purakaunui Falls and the sweeping Tautuku Bay are some of the scenic gems of the Catlins. The Catlins and Kaka Point are a part of the popular Southern Scenic Route from Dunedin to Te Anau.